Look out for the Signs! The Playground is similar to I12 Katong. However it seems bigger as there are other fun stuff for the kids. Being a Monday morning, it is relatively quiet. There are rules to follow as well. Playground is off limits to kids above 12! The birthday boy is eager to test the water too! 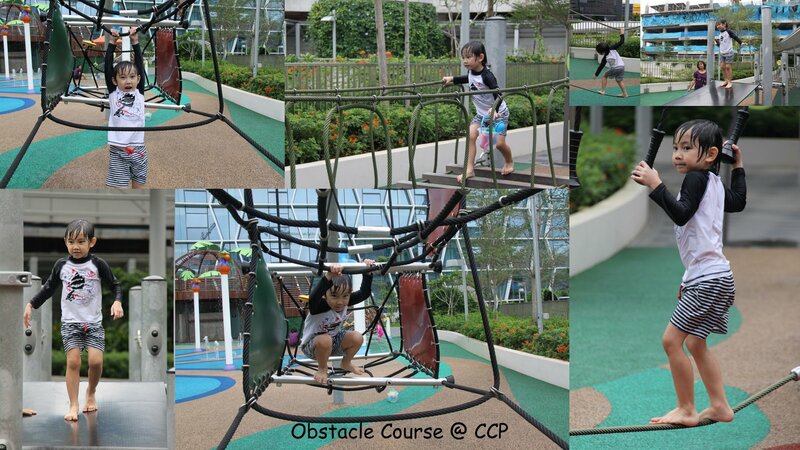 There is an obstacle course for kids as well. Looks like a good confidence builder for kids. Don't forget to bring your water toys especially water guns! I am going to shoot!